Adobe Photoshop 6 used to create layout. Editpad was used to create XHTML and CSS, and FileZilla used to upload. Tested in Mozilla Firefox 3, Internet Explorer 7, and Opera 9.5. Fonts used were AvantGarde and Verdana. 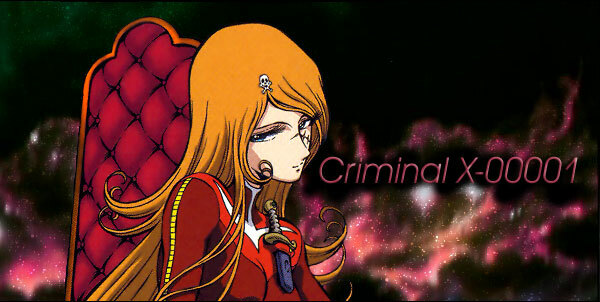 Criminal X-00001: The TAFL approved Emeraldas Fanlisting © 2008 . Layout & Content © . This site is not official and is not endorsed by Leiji Matsumoto, his representatives, friends or family in any way. All characters, places, names, series, etc are property of Leiji Matsumoto. I do not claim to own Emeraldas.